HOORAY! 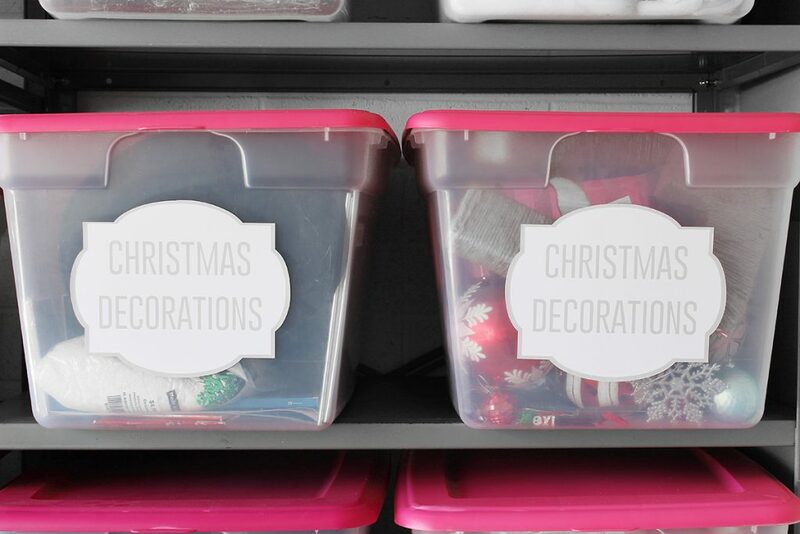 Today we’re talking organization; one of my favorite topics! 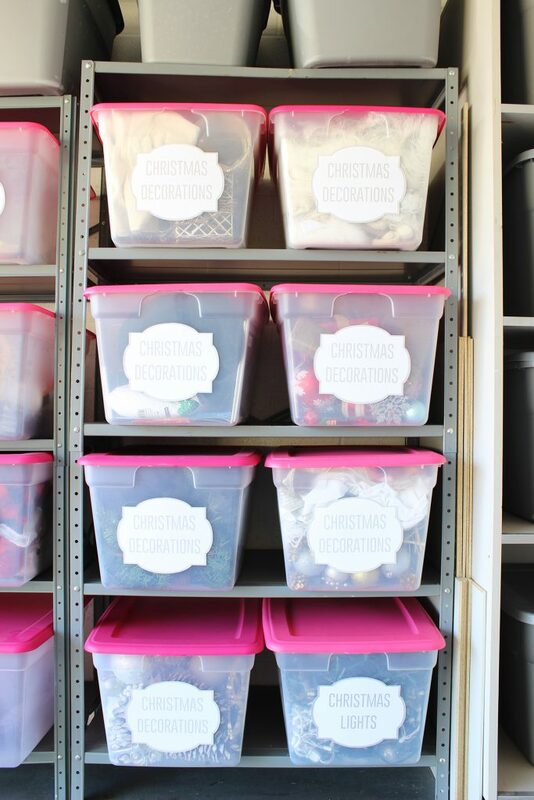 I recently tackled my garage for all of the odds and ends of the household and created a functional (and cute!) storage solution for all of that stuff that doesn’t have “a home”. In our house, every item needs a home. If something doesn’t have a home, it doesn’t get put away properly and eventually gets lost, broken or forgotten. Do you have these items? Things like a random picnic blanket, random party supplies, in between or out of season clothing, memorabilia, car accessories or seasonal items seem to be the trend at our house. I also wanted a visible, safe place for my Christmas and various holiday decor. Christmas is my major decor holiday, which I feel like maybe its that way for most people(??). For other holidays, I have a few items I throw up or a lot of times I will make a few items here or there for holidays. I’m going to show you how to make the labels for the bins. They’re super, duper easy and totally customizable…and look amazing #amiright? 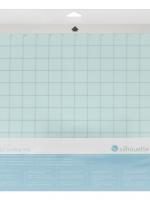 First, open your Silhouette Studio software < download it here. Next, let’s set up your Design Page Settings. I set my page size to 8.5 x 11″ for my current printer. 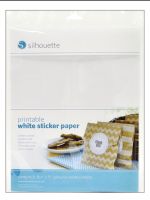 The Silhouette Sticker Paper is 8.5 x 11″ so you’ll want to make sure you have that size so your design can print properly. 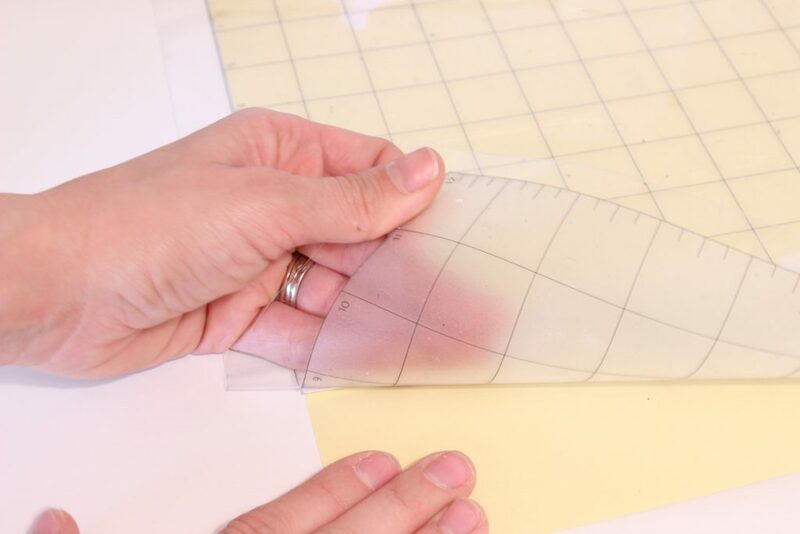 Next, I make sure my cutting mat is set to CAMEO 12×12″. 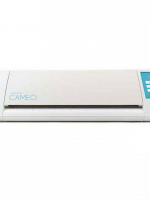 If you’re familiar with Silhouette Studio, next you’ll design your shape and text and cut it out using the Silhouette CAMEO. If you need to be walked through this step, check out my video here. 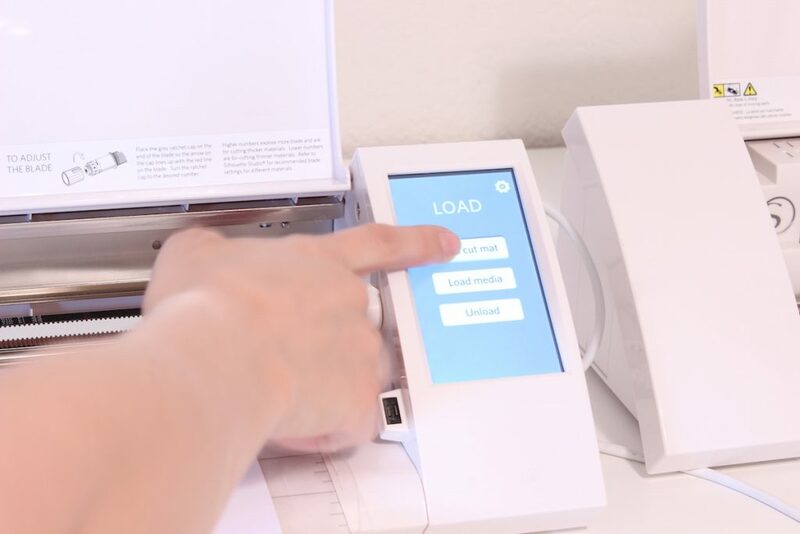 Then, print your image. 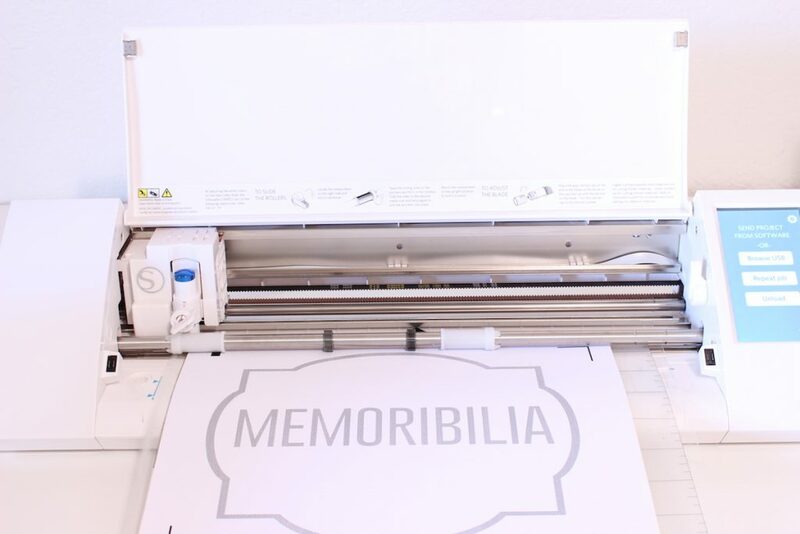 Don’t forget to print your registration marks so your Silhouette can find your image to cut. 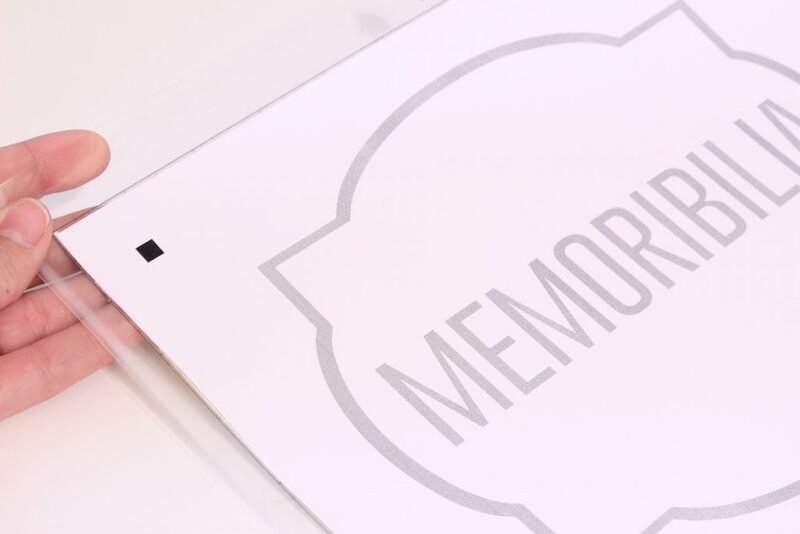 After you have your design printed, stick it to your cutting mat, lining it up just like it shows on your computer screen. Load your cutting mat, making sure to line it up properly on the blue line on the left side. 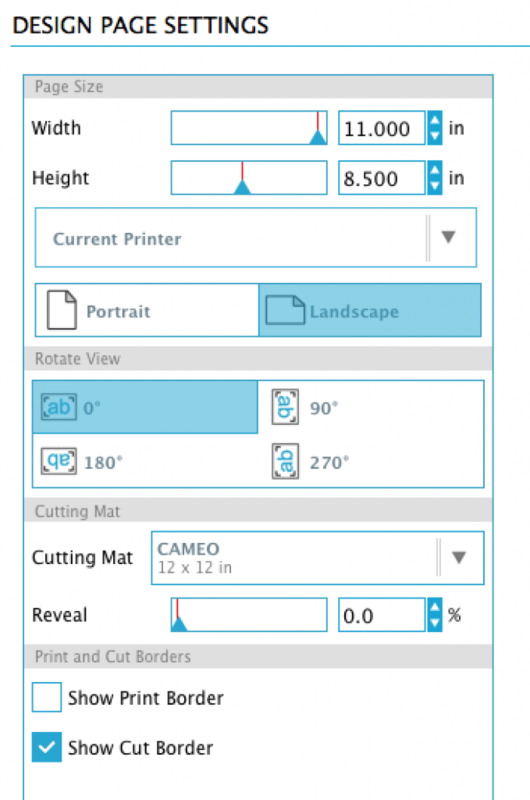 Select “Load cut mat” on your screen and allow it to feed your mat into position. On your computer, click on “Send to Silhouette” or Command-L (on Mac computers). It will first scan for registration marks then it will begin cutting around the shape of your label. TIP: if your registration marks can’t be found, try closing the lid to your CAMEO or even turning off the lights. This has helped the little laser find the registration marks when I’ve had trouble in the past. Once it’s done cutting, tap “Unload” and instead of peeling your sticker paper off of your mat, flip it over and peel the MAT off of the sticker paper. I have no idea why this works SO much better but I promise it does. Finally, you’re done! Woot woot!!! Now, peel your sticker off and get those bins organized! 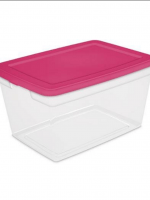 Repeat, repeat, repeat with all of your bins and basically every other surface in your home. It’s addicting I tell ya! I absolutely love how these labels turned out! I left two of the clear/pink bins without labels and empty so when things come up that need stored, I have a place for them. 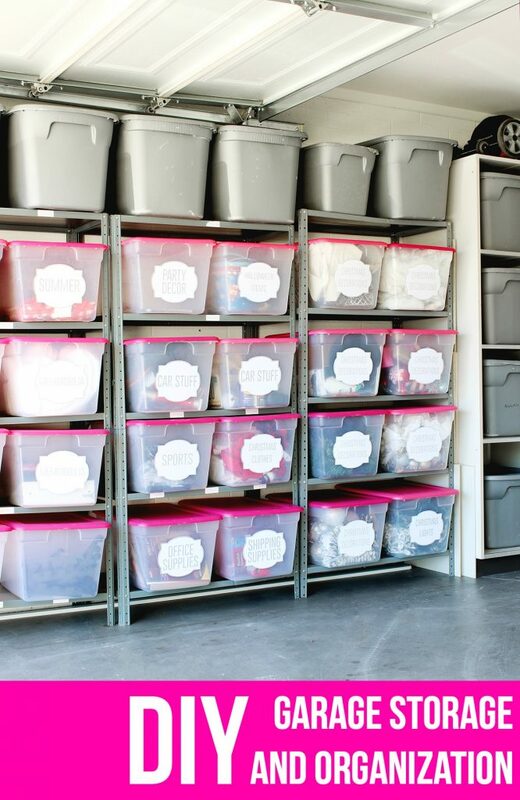 I also use the grey plastic bins for clothes that my kids have grown out of or need to grow into, baby blankets, toys for our toy rotation and winter coats. Regular vinyl and sticker paper doesn’t stick well to them so I’m going to order some permanent “outdoor” vinyl to try to stick on them so they can be labeled too! 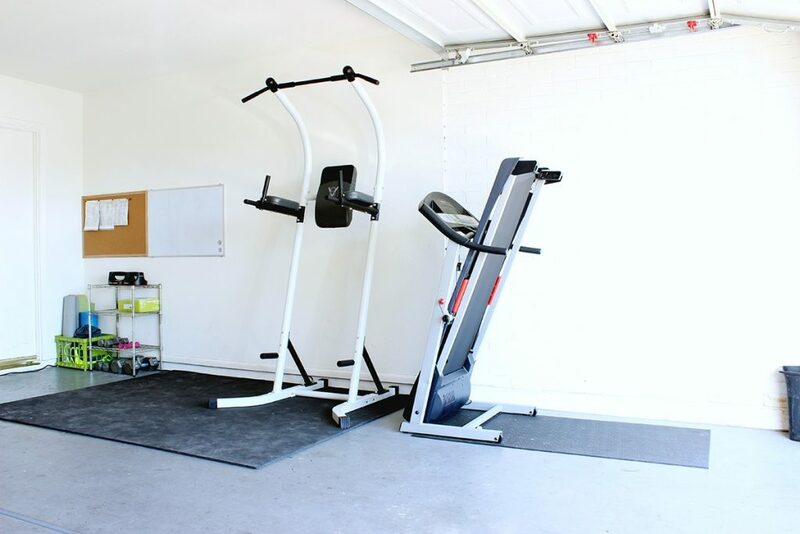 On the other side of our garage is our little home gym. I love it so much! It’s so nice to go and have a dedicated space when I need to squeeze in a workout at home. I had big plans to hang a cute motivating sign and maybe some fun decals but we just found out, we’re moving!!! We are in the process of buying our first house in 10 years (no more renting!) about 2 hours away from our home now. SO crazy!!! We’ll keep ya posted. Until then, send good house vibes out into the universe for me! Aaaaaaaarrgghhhh ! Your garage is so organised! Where are the shelving units from? They’re perfect! Looks amazing! I feel inspired to clean out our garage. We have shelves, but they don’t easily fit two bins on one row. Where are your shelves from? This looks amazing. 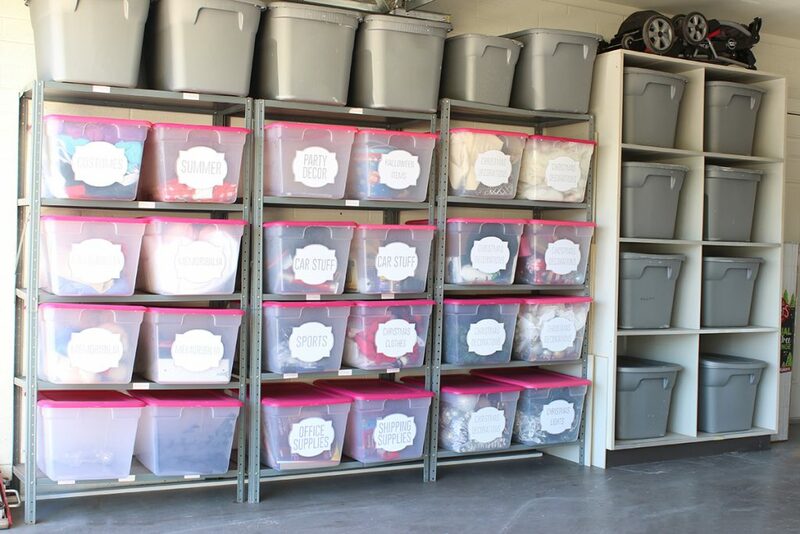 I have wanted to organize my garage like this. Can I ask where you got the shelves? They fit these containers perfectly. I can never find shelving that works well with containers. Hi Chris! I got them off of Craigslist. Keep an eye out for a great deal! We have the same shelves bought at either Home Depot or Lowes. We’ve had ours awhile…Im hoping we can move the shelves around to fit these boxes perfectly. I have a lot of party supplies and I’m not sure how to organize them. For instance I do a women’s tea every year and the table is a theme. The last 2 times I’ve done 2 tables…many of the items can be reused for other parties but it’s all very misc. I don’t know how to properly organize the items. Can you please tell me where u got ur bins from? I love those!!! Hi Shannon! They’re from walmart! Hello! 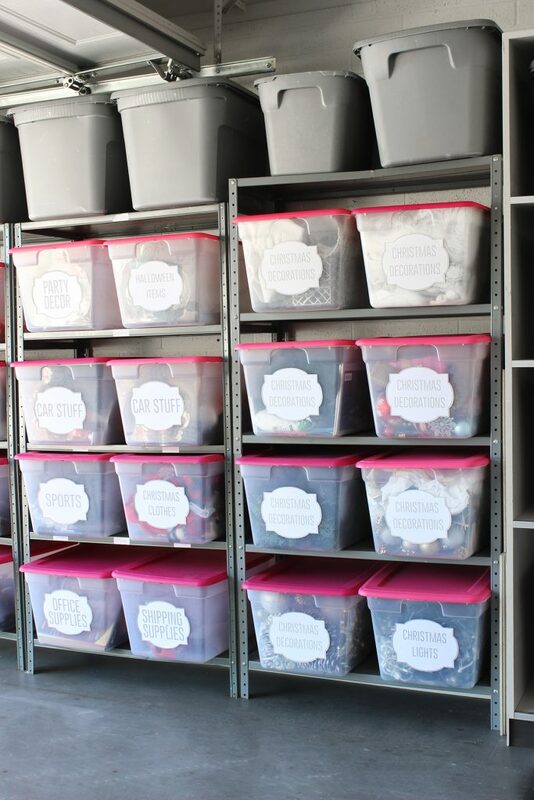 I have a storage room that is in dire need of an overall like this and I love the labels on your bins. 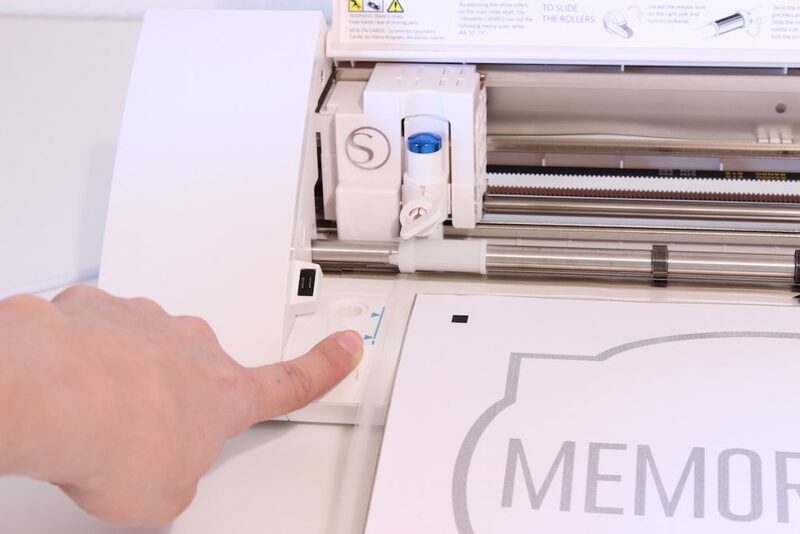 I just have a regular printer though and can print with nice paper so I can peel off the back but will your template open in regular software or do I have to have the special software? Looks great with room to spare. FYI- Memorabilia is the correct spelling. Where did you get label template. Everything I am finding is too foo foo. Thanks.